Police misconduct and harassment is unfortunately still an evil that comes with the broad, discretionary powers that officers are granted. In some areas, it has become so commonplace that many don't even realize it is illegal, and actionable. Here are three common examples of police misconduct. One of the most common ways police abuse their power is through false arrest. This is linked to unlawful search and seizures under the Fourth Amendment. In practice, this is when a police officer searches your area without having the right to do so, finds something illegal, and arrests you. 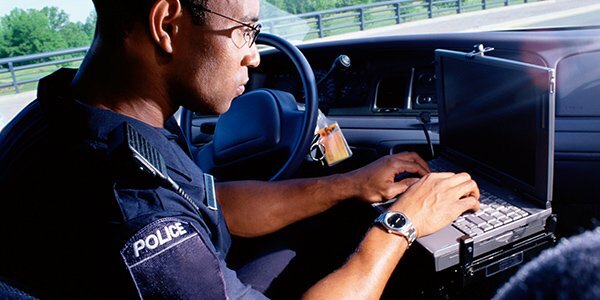 What sort of searches do officers conduct that they don't have the right to? Police can only search you, meaning "you" in the broadest sense possible -- your car, home, or person -- if they have probable cause to believe you are up to something illegal, or if they have a search warrant. Unlawful searches usually happen when officers claim they have witnessed you doing something illegal or enough to give rise to probable cause, even though they haven't. Perhaps crossing a double yellow line when driving? Or police claiming that saw you steal something, but they didn't? Or even that someone reported suspicious activity at your house, even though no such reports came in. And then there is the gray area of welfare checks, when police claim they had been sent by someone that is concerned about your well-being. Many of these instances give rise to illegal search and seizures, and false arrests, in violation of your civil rights pursuant to section 1983. When placing people under arrest, police are only allowed to use the force necessary to apprehend the person or to protect themselves. They cannot use excessive force that is unreasonable. As one can imagine, this varies from situation to situation. However, with the advent of police bodycams, personal cell phone, and unfortunately Taser guns, excessive force claims are becoming more common, and more successful. In the past, it was difficult to prove an officer acted with excessive force; it was all based on testimony. But now getting evidence is much easier thanks to police body cameras and the public's use of cell phone video. Each police department has their own guidelines for what is considered reasonable. Violations of these will rarely survive an immunity challenge, and will often lead to successful excessive force claims by plaintiffs under the fourth amendment and Section 1983. Police officers are not allowed to use their position of power for unintended or unlawful purposes, and especially not for his or her own private gain. Unfortunately, some officers use their position or title to coerce people into doing things that they aren't required to do, under the guise of governmental power. Sometimes this comes in the form of excessive force. But other times in comes in the form of bribery or sexual assault during a pat-down or cavity search. Often, instances of misuse of power go hand in hand with false arrests. If you or someone you love has been the victim of police harassment or misconduct, call a criminal defense or civil rights attorney. So often, people feel there lot in life to be mistreated. But that is not the case; everyone has rights. Stand up for yours, and when you grow weary, your attorney will stand beside you and hold you up.